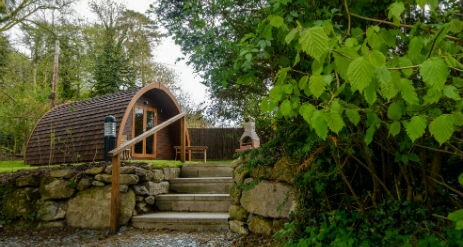 Glamping in pods at Langstone Manor Park on the edge of Dartmoor in Devon is set amongst delightful mature grounds in a sheltered wooded valley. 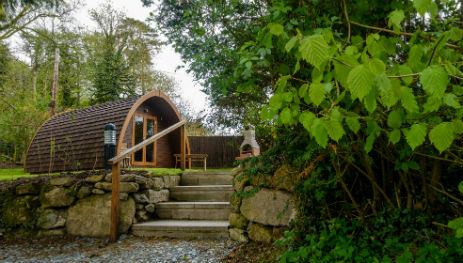 Close to Tavistock we are an award winning Camping & Caravan Park offering the perfect escape for those seeking to explore and enjoy the wide range of interests and activities that the adjacent Dartmoor National Park has to offer. 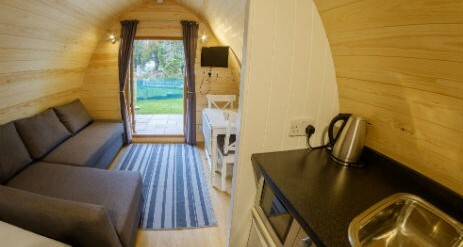 The Langstone Camping Pods have heating, lights & an electric & USB socket as well as a table and chairs on the front veranda. There is a parking bay by the pods. 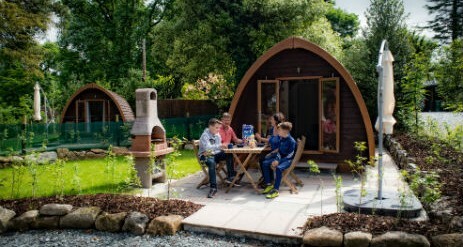 For the Langstone Camping pods, you need to bring ALL your camping gear LESS your tent – this includes bringing your bed – blow up bed or camping mat, cooking gear and a torch. Our immaculate five-star showers, toilets and dishwashing facilities are close by. 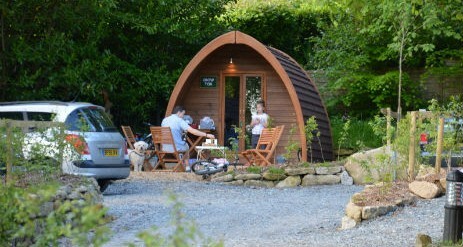 We have pet-friendly Langstone camping pods available and there is a maximum of 2 dogs for each pod at £5 per dog, per night. 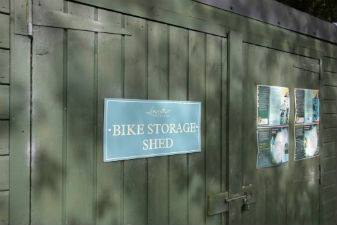 For the Mega Camping Pods, you will need bedding, towels, crockery, cutlery & cooking gear. PLEASE NOTE THAT THE MEGA PODS ARE PET FREE. 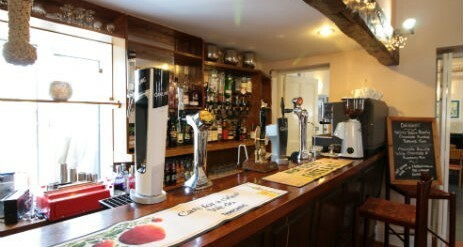 There is a minimum of 2 night booking at a weekend(Friday & Saturday). Check in times are from 1pm to 9pm, and departure time is 11am. We also have freshly baked baguettes, rolls, croissants available to order! 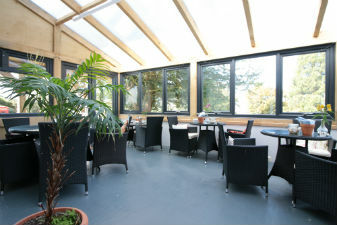 THE KITCHEN CAFE in Tavistock is happy to be offering a full range of catering at Langstone Manor. 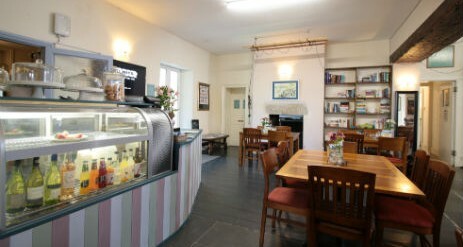 The Kitchen @ Langstone is open daily from 4pm to 9pm for food and 10.30pm for drinks. During the school holidays it will also be open daily for breakfast from 8.30 to 11am. The Kitchen at Langstone will also offer a wide range of food and drinks to take away, to include hot and cold drinks, smoothies, ice cream and frozen yoghurts. Lunch boxes to take on your trips out on Dartmoor. Pizzas, cakes, pastries and more. After a long day exploring come and have a traditional Devon cream tea in the conservatory or a well-deserved pint of local ale in the bar, before you come back for an evening meal. We aim to source as much of our menu from Devon and Cornwall suppliers as possible and it is all prepared freshly on site. Please don’t forget all your camping gear, including your bed, cooking gear and a torch – everything except the tent! 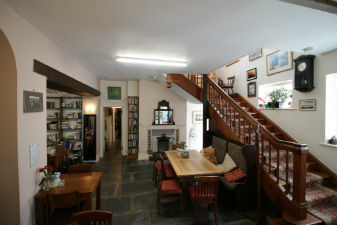 Book 3 nights for the price of 2 nights for mid-week bookings (Monday to Thursday). There are dates this offer is not available and they are between the 22nd May and the 4th of June and from the 10th July to the 8th September.